Drumsticks are a fun finger food! We all fight over the drumsticks, so why not make them a meal? This is a super-easy baked chicken recipe. 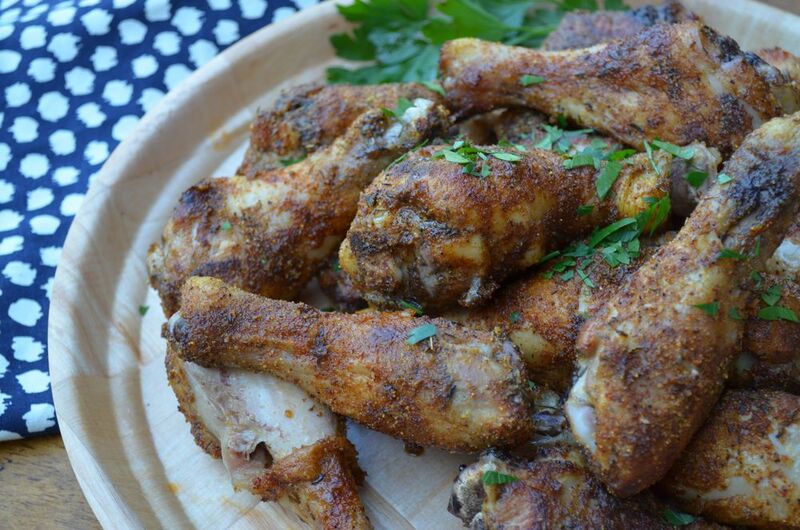 My spiced-up rub is not too spicy for kids and totally gluten-free! If you want more heat add 1/2 tsp of Cheyenne pepper or adjust to taste. Mix up the dry spices in a bowl and set aside. Drizzle oil over chicken. Coat the drumsticks liberally with the rub. On a baking sheet, in a 400 degree oven, cook the drumsticks for 30 minutes turn the chicken and cook for another 10 minutes (a total of 40 minutes).